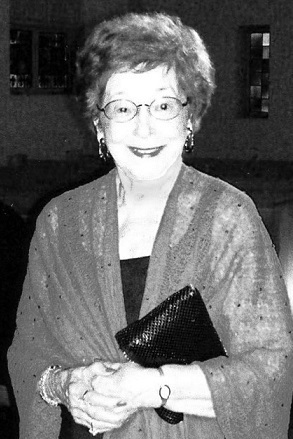 The Acadian Museum in Erath, LA, honored Mrs. Alice G. Bernard by inducting her into the Order of “Living Legends” on June 6, 2009. Bernard was featured in a recent documentary by Louisiana Public Broadcasting on the subject of the “Orphan Train Riders” and was declared to be the last survivor. Around the turn of the twentieth century, multitudes of immigrants were arriving in New York City through Ellis Island. There was little work to be found and many families were forced to give up their children. Two charitable institutions began to take in the children so that they might be placed into loving homes. The New York Foundling Hospital run by the Sisters of Charity placed most of their children with Catholic families in the South. The other was a secular institution called the Children’s Aid Society and placed most of their children in the mid and Western part of the U.S. Approximately 200,000 children called “Orphan Train Riders,”were placed on trains during the period from 1854 through 1929. Alice G. Bernard was born in New York City in 1916, and given the name of her birth mother, Alice Kearns. At age 3, she was placed on a train and ended up in New Iberia, LA. Pinned on her tiny dress was an address tag: “Mr. and Mrs. Auguste Geoffroy, a family from Delcambre, LA.” The Geoffroys had ‘ordered’ the baby from their Catholic priest. “Little Alice” arrived in Delcambre as a toddler speaking English. In order to communicate with her new guardians and the townspeople she had to learn to speak French, which she mastered quickly; but ironically, she was forbidden to speak it when she entered the first grade. By then, she had forgotten her English and was forced to learn it all over again. Over the years, she not only managed to remain fluent in French, but also learned to read and write it. When Bernard arrived, her status with the Geoffroys was as an indentured servant, however, at the age of 14, she was formally adopted. Bernard attended school in Delcambre through her junior year then transferred to Mount Carmel in New Iberia where she graduated. In 1942, she married Reuben Bernard of Erath and together they raised seven children in their rural home located between Delcambre and Erath on property inherited from her adoptive parents. The Bernards were embedded in the church as well as the civic and social life of Erath. They participated actively in their children’s school life and extra-curricular activities. Bernard is a member of the Catholic Daughters, the Demi Tasse Club, the Twelve and Go, the Cruising Cajuns, the New Acadians, Good Neighbor Sam and the Louisiana Orphan Train Society, of which she remains the only living symbol of triumph over the tragedy despite the meager beginnings of all “Orphan Train Babies”. Upon Mr. Bernard’s retirement from farming in the 1970’s, the Bernards traveled to French-speaking Canada where life-long friendships were formed, and they became good-will ambassadors for the French-speaking people of South Louisiana.